jobs, design their houses and build their skills but there is more purpose to this game. The thing that bothered me about the sims was that they just existed, you could set your little goals like getting them married but there was no general purpose. It also bothered me that they stayed the same age forever and never died. (not always in that order, there are a number of things that can kill you). 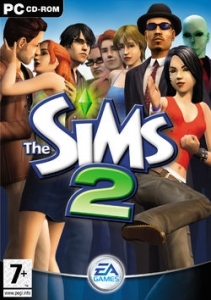 The purpose of the sims 2 really depends on how you see life. life and leaving the children more money so that their standards of living getting better. This is definately a fantastic game. The graphics are amazing and if you buy the book that accompanies it you will see just how complex the game really is.